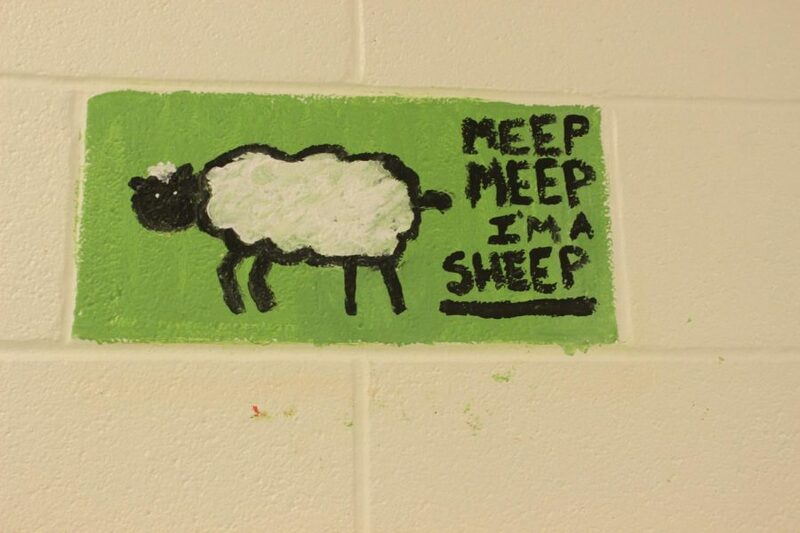 "Meep Meep I'm a Sheep"
Students have painted some of the individual white blocks along the 100s hallway (where Mr. Smith’s room is). 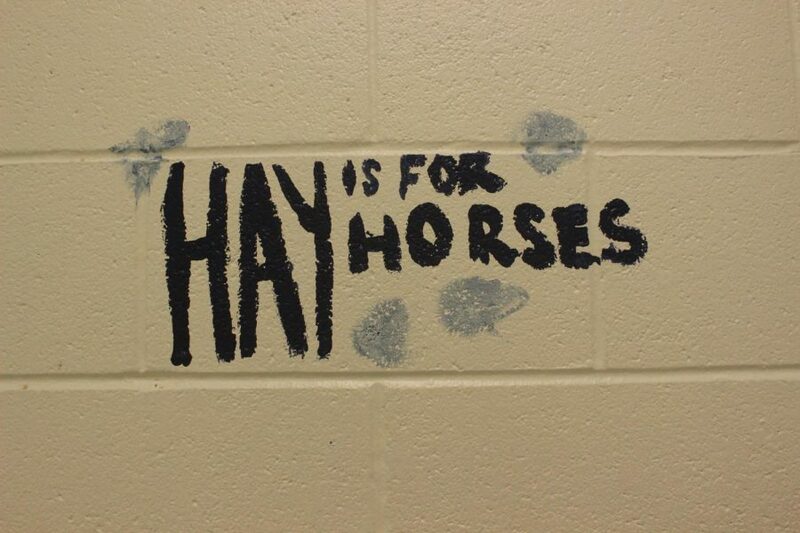 Students came to school on Sunday and did this along with the ceiling tiles. This is the first year Art has painted the blocks on the wall.